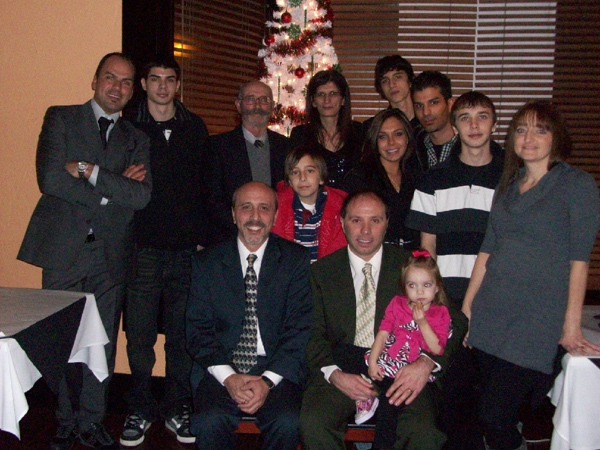 Da Baffone Cucina Italiana is a family owned Italian restaurant located in downtown Crystal Lake, Illinois. At Da Baffone we offer all the wonderful flavors of Italy with a focus on Southern Italian cuisine. We believe that food is a tradition that brings family and friends together. Out of this belief springs our passion for food, wine, and friends. As we always say, “Without a passion for cooking, you have nothing”. It is this passion that we share with our sister restaurant Agriturismo da Baffone in Santo Stefano del Sole, Italy and it is this passion that we bring to Crystal Lake. A passion for old world recipes made with only fresh ingredients. These are the recipes we were raised on and now share with you, the recipes that not only touch the pallet but also touch the soul. Come and taste these wonderful dishes and then sit back and enjoy a glass of wine in our cozy dining room, which features brick walls and the feel of the Tuscan countryside. Our wine list features wines from the best regions of Italy and the world. We welcome you to our Cucina Italiana (Italian kitchen) to experience why we say, “Da Baffone is where good food, good wine, and good friends come together”.